JAPAN: Acoustic Field Inc. will be exhibiting at Inter BEE 2018 in Hall 1 (Professional Audio Equipment) on booth #1513. 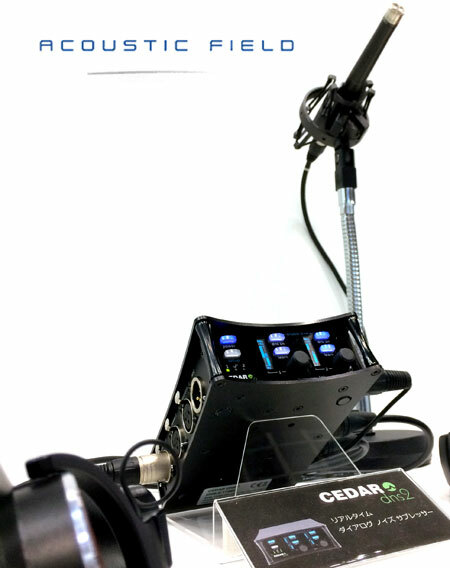 Alongside the company's advanced 3D sound production technologies, it will be focusing on the latest CEDAR Studio 8 suite of processes for post as well as the CEDAR DNS 2 and DNS 8 Live dialogue noise suppressors which, according to Mr Jiro Kubo of Acoustic Field, are now "invaluable tools for Japanese sound recordists and TV programme production engineers". InterBEE 2018 will be held at the Makuhari Messe, Tokyo on 14 - 16 November 2018. Jiro Kubo, Acoustic Field Inc., 1-1-6-101, Chuocho, Meguro-ku, Tokyo 152-0001 Japan.